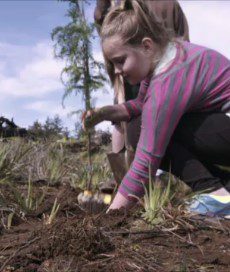 Plant for the Planet will be planting trees for Seattle Arbor Day at Sam Smith Park on Saturday October 14, 2017 – Please join us from 8:30am to Noon. Our Primary Sponsor is City of Seattle’s Jana Dilley from the “Trees for Seattle” Program. Please contact Anne Miller (or 2068497456) for more information. Directions: Go towards Sam Smith Park at 1400 Martin Luther King Way S, Seattle, WA 98144. Once you are at the south side of the park, find the intersection of S Massachusetts Street and 28th Ave.